Leading gaming headset and audio accessory brand Turtle Beach (Nasdaq: HEAR) today announced the all-new Turtle Beach Battle Buds™ – a high-performance in-ear headset designed for gamers on the go. The Battle Buds’ standout feature is the removable high-sensitivity boom microphone which delivers crystal-clear in-game chat with other players. When not gaming, the boom mic can be easily detached, and the inline mic can be used for taking calls and chatting on the go. 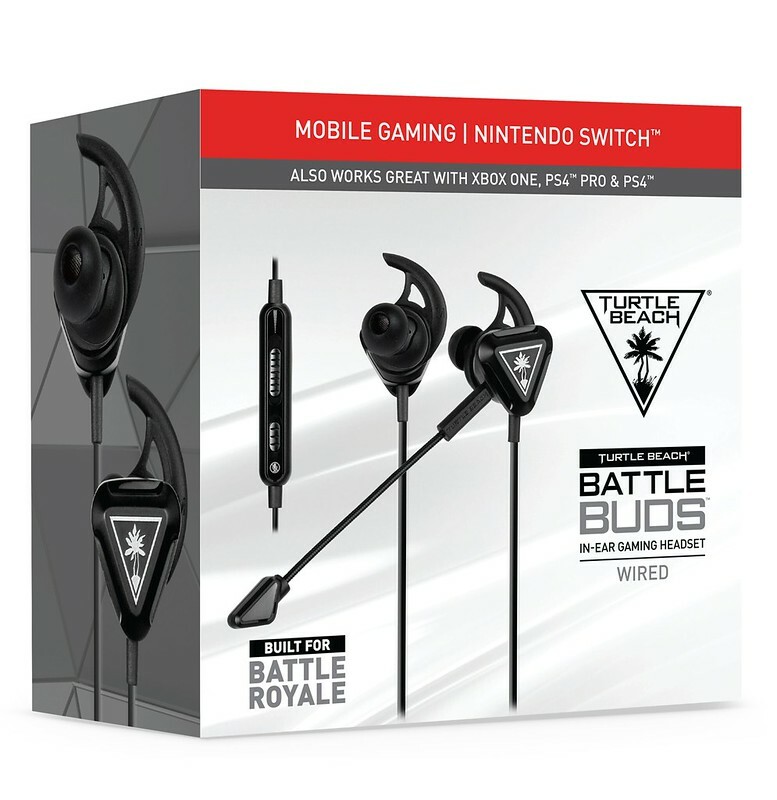 Additionally, Battle Buds have 10mm speakers that deliver full-range sound, as well as a standard 3.5mm connection to ensure compatibility with nearly all mobile devices, Nintendo Switch™, Xbox One, PS4™, and PC. Battle Buds arrive with two color combinations – bright white with teal accents, or sleek black with silver accents, and are available today exclusively at Target in the United States and at www.turtlebeach.com for a MSRP of just $29.95, making them a perfect stocking stuffer gift for the holidays.